I am proud to say that Commercial Brokers International is celebrating its 10 year anniversary in May 2016. It has been an interesting and fun 10 years, primarily due to our incredible clients. I wanted to take this opportunity to thank all of our clients, agents, and the real estate community for supporting us throughout the years so we could reach this milestone. Achieving this milestone would not have been possible without our great agents and staff working to achieve our Client’s Best Interests! Looking back over the last 10 years has given me the opportunity to see what we did right, and even more importantly what we could do better. Throughout these times, I believe our company’s ability to adapt to the changing conditions of the market and to forecast the coming changes have greatly contributed to our success. We look forward to continuing to achieve what have become our client’s expectations in the years to come. I also realize that we could have stayed in better touch with many of our satisfied clients. I reflect back, and realize there are many I haven’t spoken to in years. It is my goal this year to personally reach out and speak to each and every one of our past clients, and to thank them personally for the support they have given us. At our core, I believe we have been very successful the past 10 years. Success for myself, my company and the agents who work with us has never been counted in terms of dollars, but rather in the number of satisfied clients we have and their trust in us to help them achieve their goals. By creating a team of agents who specialize in all aspects of commercial real estate, we have been able to offer unprecedented service to our clients, and have truly become a one-stop shop for all of their commercial needs. I am looking forward to the next 10 years and beyond. As part of our commitment to our clients and agents, we are always looking forward to see how we could do better. With the advent of smartphones, tablet computers, and 360° cameras, the job of a CRE agent has been made easier. Features like 3D mapping of a building or office on a tablet application would not have been possible even 5 years ago. It’s been exciting to be a part of the industry during this constantly evolving period. To that end, we have made commitments to embrace this new technology, such as developing electronic presentations, embedding video tours of properties, and even ordering a 360° camera for our agents to create presentations and marketing materials for listings. 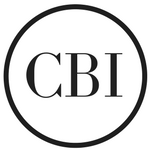 CBI has had an exciting decade and has another promising decade ahead. If you'd like to be a part of the next decade and you are looking to acquire, sell or lease commercial property, feel free to contact us.